Have things gotten out of hand? You’ve been so crazy busy with life and then you sit down for a second and realize you’re completely surrounded by stuff. It’s the worst feeling, right? It’s completely overwhelming and it’s hard to know where to start. We’re decluttering like crazy right now to get ready to move from our house into an apartment. Everywhere I look, I see stuff we won’t need or that can’t fit in the new space. Maybe your kids have grown up and you’re ready to get rid of most of the kid stuff you have been hanging on to. Maybe you just want to take control of your home so that it can be a calm, peaceful place. You can sign up for my 4-day declutter challenge below. I’ll send you an email each day with homework to do so that you can get started decluttering one step at a time! If you’re already feeling overwhelmed, don’t attempt a huge, time-consuming project right off the bat (like your entire closet or all of your basement storage). It helps to get a small success to build momentum and feel good about your progress. No, it’s not much, but it will feel good. Choose a space that can be completely taken care of in 15 minutes or less. It will make you feel successful and leave you wanting more. Now that you’ve got a small success under your belt, move onto a decluttering project that’s a little bigger. Here’s the thing, it needs to be stuff that doesn’t have huge sentimental meaning to you. If you try to go through your crates of family photos or all of your child’s artwork, you might lose the bit of momentum you’ve gotten. It’s time-consuming and it can be emotional to go through sentimental items. You want to really start feeling how wonderful a decluttered home is before you tackle emotional clutter. This is the time for junk drawers, random crap piled up in the garage, board games, linen closets, or winter coats, hats, and mittens. 3. What Will Make the Most Difference? 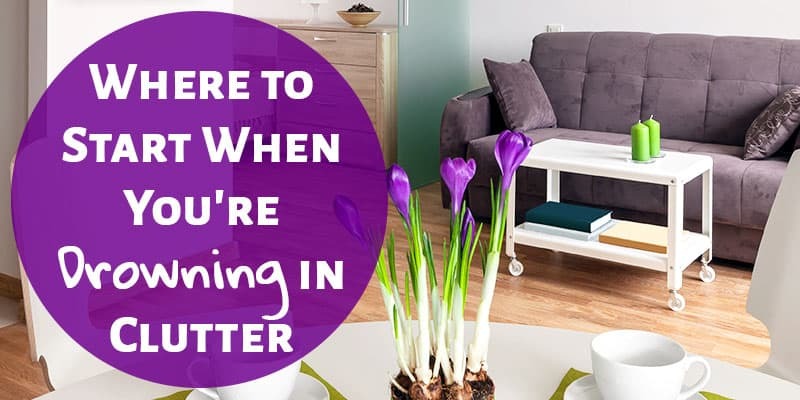 After getting a small success and then taking on a bit of a bigger decluttering project, it’s time to look around and see what will make the biggest difference in your day-to-day life if it were decluttered. Would it be easier to get ready in the morning if you decluttered all of your bathroom shelves and cupboards? Would it be less crazy to leave the house if the place you drop your coats, shoes, and bags were cleared out and only contained what you use everyday? 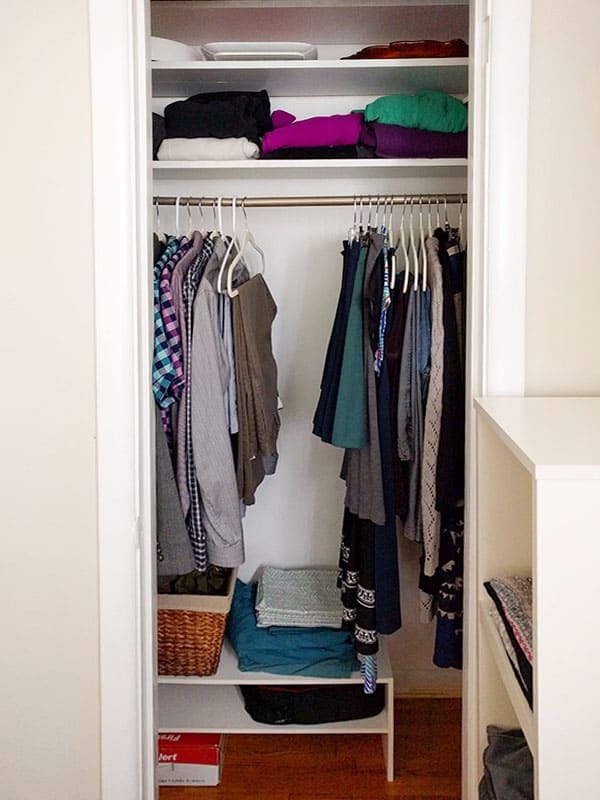 Would is be easier to get dressed if your closet was decluttered and only contained clothes that you loved and that fit? Think about the frustrating or stressful parts of your day. Is there an area that would make your day run smoother if it was decluttered? That’s the project to take on next! 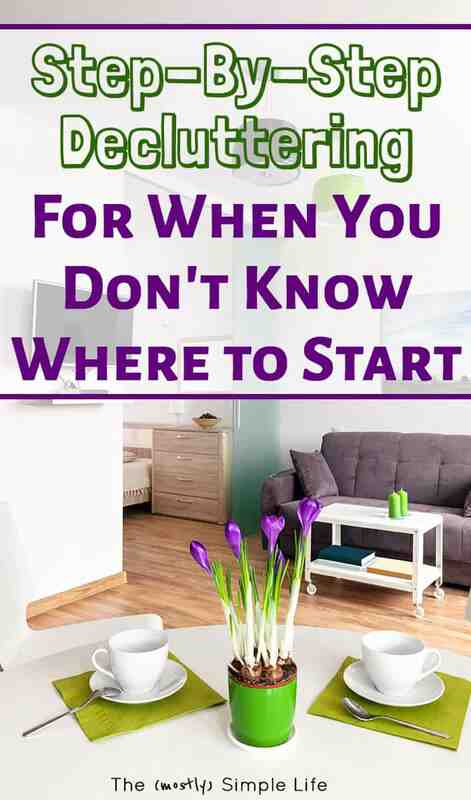 When you see the difference decluttering can make in your life, you will gain the momentum and motivation to tackle the sentimental stuff or the extra big projects. You can use this method to break down a big project. If you have an entire basement to go through, start small. Find the smallest box and go through it to get your first success. Next, move onto a box of stuff that doesn’t have much meaning for you. Pick one that you haven’t needed to grab anything from for years. It’s probably all stuff you don’t need or care about, so you’ll gain another victory. After that, decide what stuff will make the most difference to go through. If there is tons of sports equipment that you trip over every time you go down there, tackle that. It will make going to the basement so much more pleasant and give you motivation to keep going through everything else. ⇒ Where do you start when you’re decluttering? What’s the next project you’re going to tackle? I took care of my decluttering before I moved and it helped so much. Now I just need to find the right homes for some items. These are helpful tips. Great tips! We have been preparing for a move too and held a garage sale this spring. It was a monumental task, but once I got started I really felt the urge to purge. We still have more to tackle, but it felt like a good start. Good luck with your move! Thanks Erin! Same to you! I love your blog! Are you selling your house? 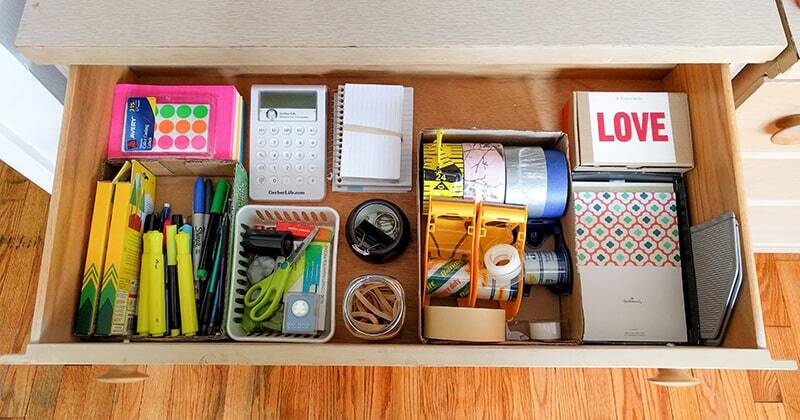 Try decluttering down to 400 square feet?!? Your tips are great! Wish I would have decluttered each year of our forty plus years of marriage! Haha, yeah! Decluttering is a pretty regular occurrence over here. Good luck with the decluttering! Cluttering is such a problem for me sometimes and it drives me crazy. This post was very helpful! 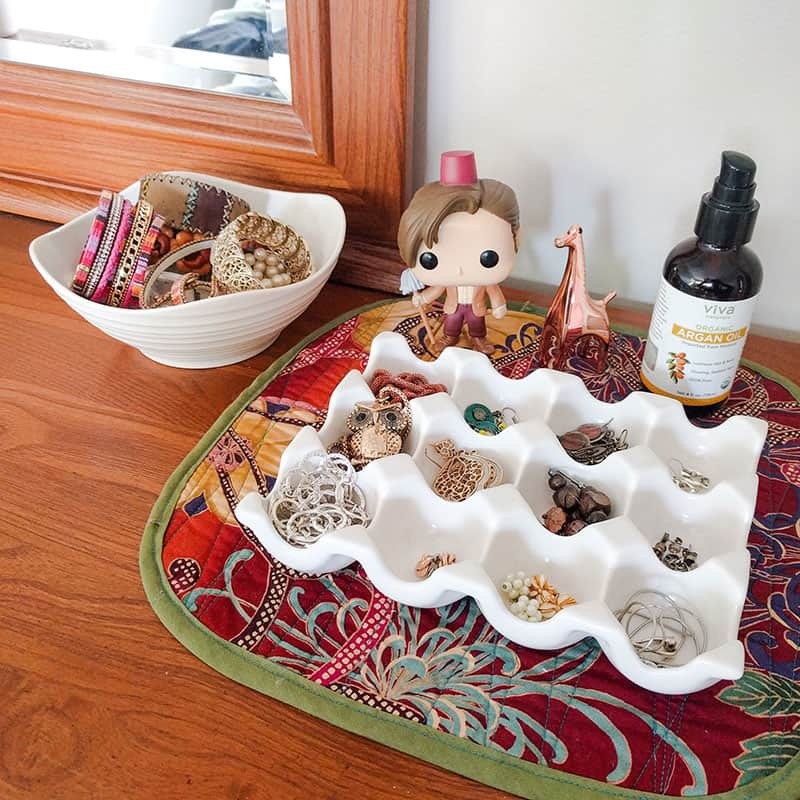 Sometimes, my favorite thing is to start with something small like a drawer, and then I have the motivation to do my entire house! It totally leaves you wanting to do more! It’s no good to get burnt out right away with a big project. I have been slacking on my decluttering! Thanks for the reminder to get busy again! Great tips. Just discovered your blog this morning, love it, need it! Will help me a lot as I continue to declutter. Funny I found your site as today is garbage day so last night as I was putting out the regular garbage I looked around the garage and decided to quick/spontaneous declutter also. Out to the curb went: a brand new bike that had been sitting unused for about 5 years (someone picked it off the curb an hour later, so that made me happy that someone wanted it), a broken spray-mop that was laying around for 6 months waiting to be fixed (got real..if it wasn’t done by now, won’t get done, goodbye mop! ), a broken fan that had been sitting there for over a year (again waiting to be fixed), and old-styled tv unit which will never be used again. Cleared up quite a bit of space and felt so good and now that I’ll be reading your blog, I’ll let you inspire me to continue my purge. Planning to move this Spring so decluttering way ahead will make a much easier move.